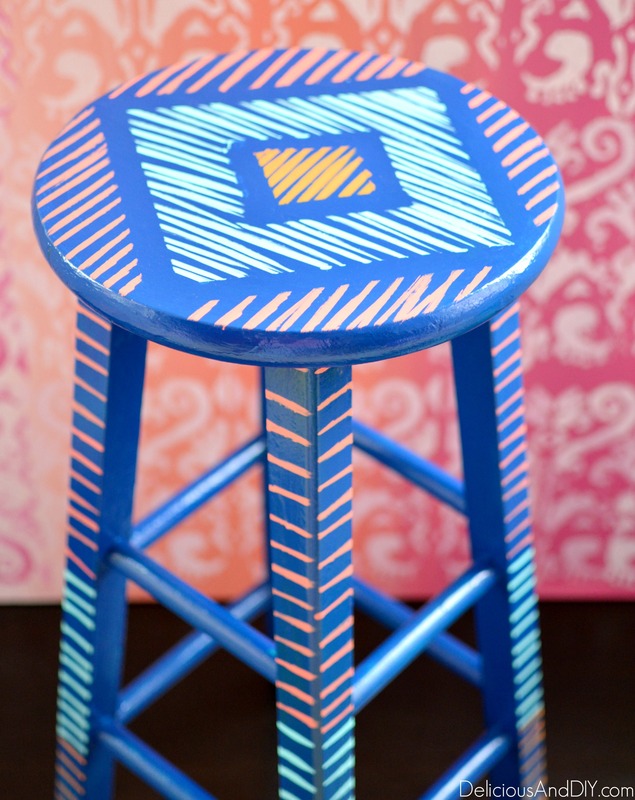 This Brush Stroke Bar Stool is really easy and a fun way to update an old piece of furniture. It gives the perfect amount of pattern and color in my home decor space. The best part is that you can play around with as many colors and strokes of paints you like and make it completely unique. Someone had clearly gotten there “DIY” hands on it and had attempted to paint it. 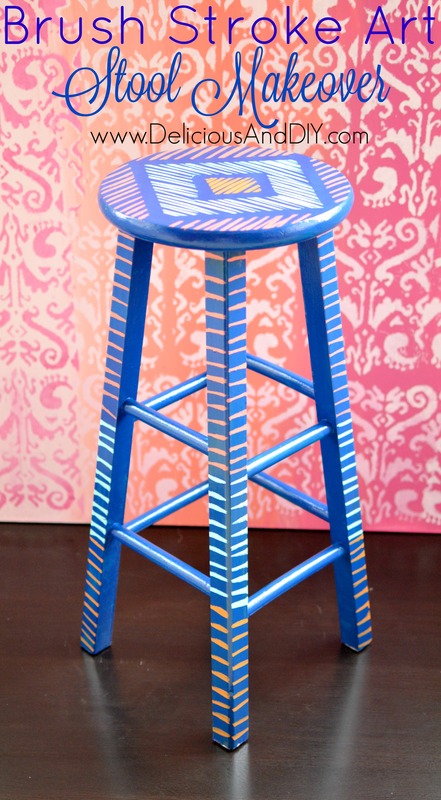 I got this stool for free and I knew I had to test out the Maxx Gloss paint on it. 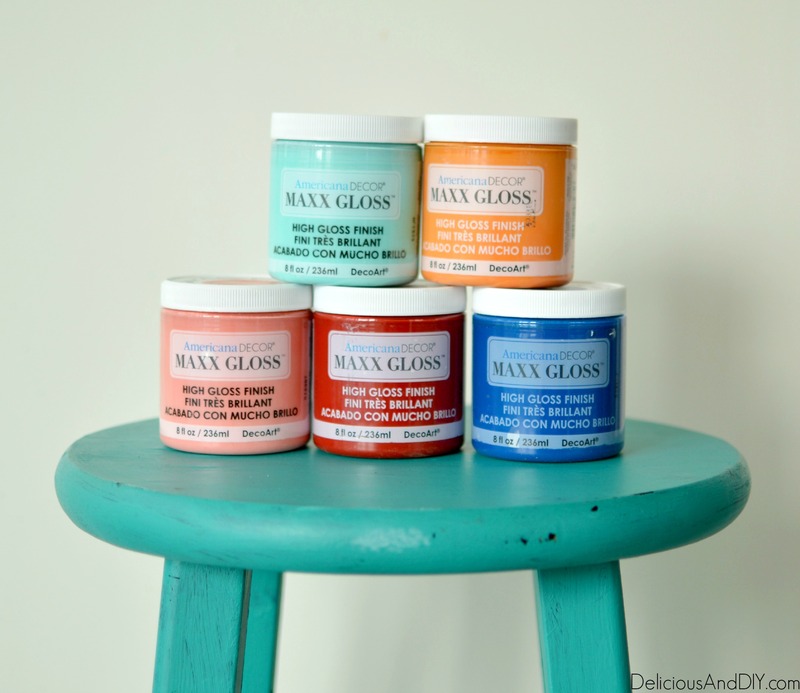 These paints are available in 20 high-gloss, trendy colors and I ended up choosing these beautiful colors which you guys can order from here or you can also find them in Michaels (in-store & online), Home Depot (select stores & online), Jo-Ann Fabric & Crafts Stores (in-store & online), and Meijer. 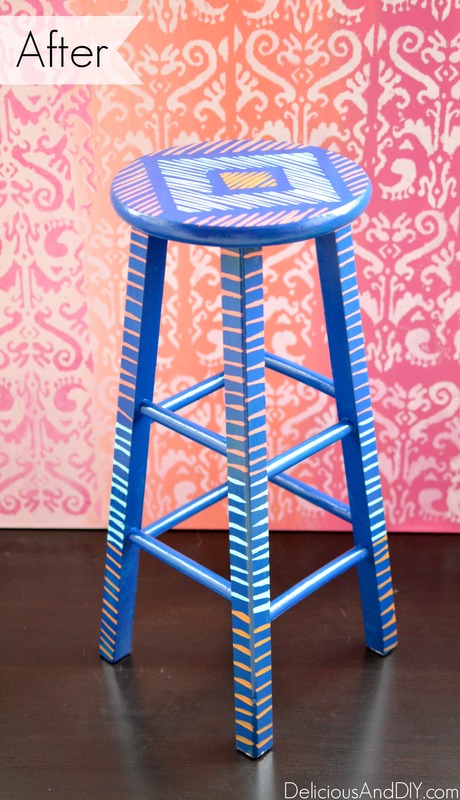 I started off painting the entire stool in the beautiful deep blue color Sapphire . 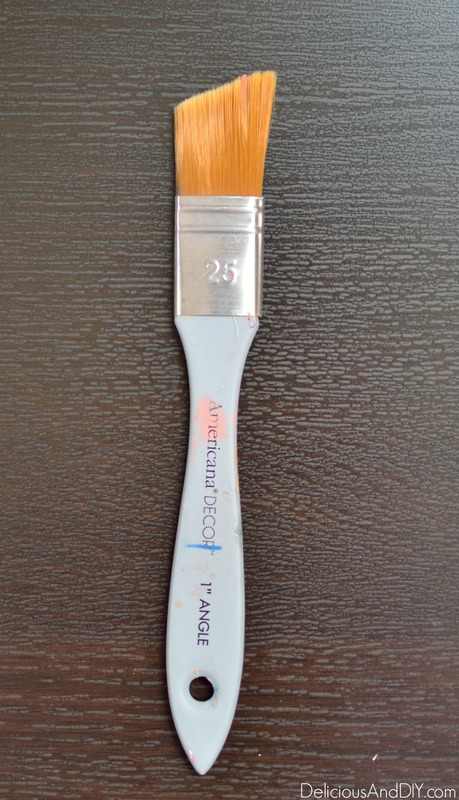 The paint glides on in such a creamy way and has a durable, hard finish which, once fully cured, is highly resistant to household cleaning chemicals. 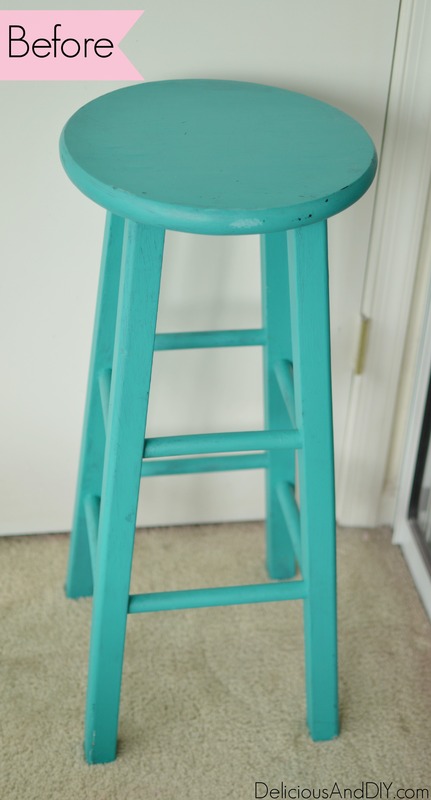 I gave the stool one whole day to dry out. 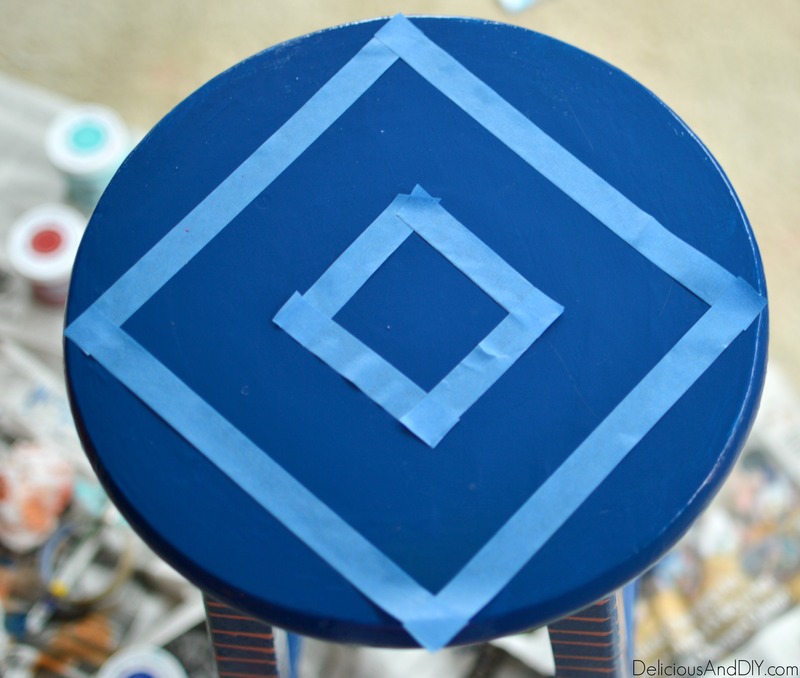 The next day with my masking tape I taped off two diamond patterns. And then it was time for the fun part. 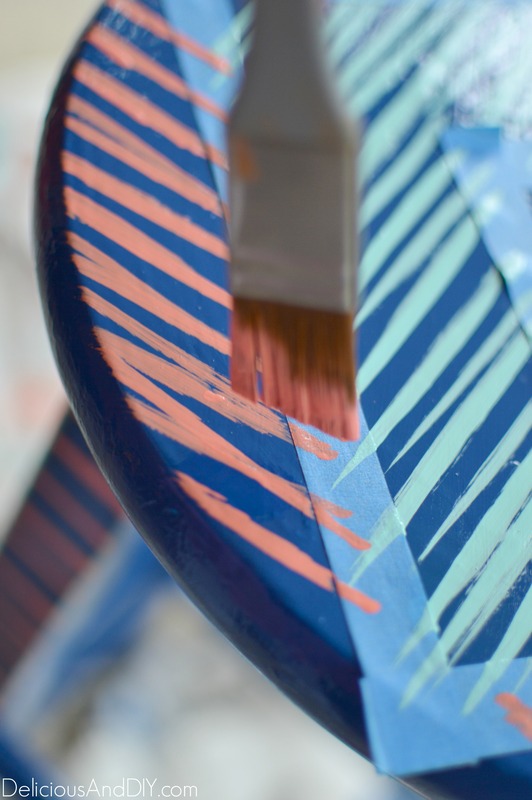 Sine I was loving the consistency of the paint I lightly painted a somewhat “Brush Stroke Art” design on it . I started with the color Juicy Melon, Aqua Waters and for the middle I chose Orange Slice. 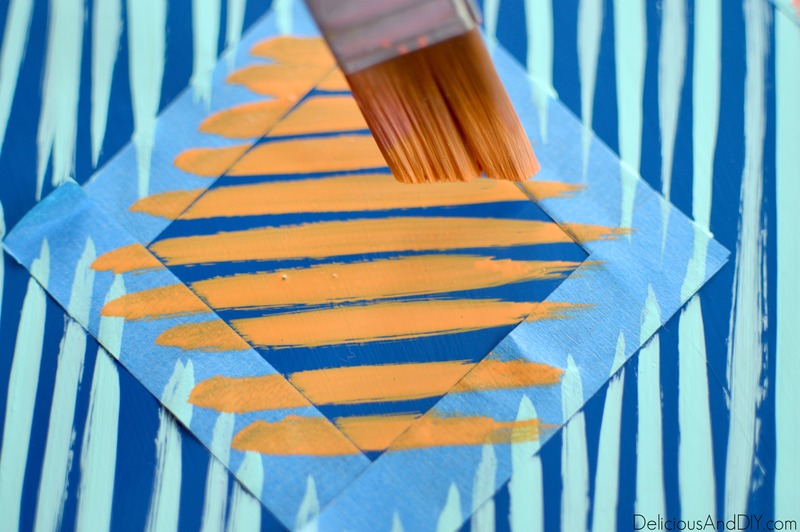 I also used my DecoArt paintbrush which made it so much easier to get the brush stroke effect that I wanted. I went along and filled in the masking tape area painting vertically and horizontally. 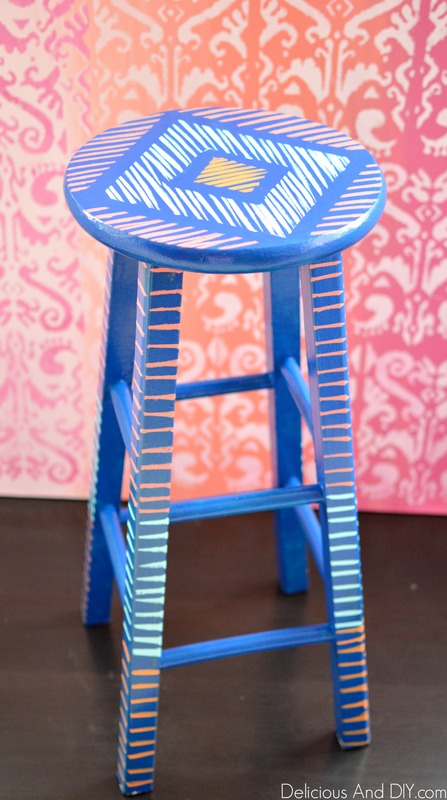 It was such a fun technique that I decided to do the same on the legs of the stool as well. 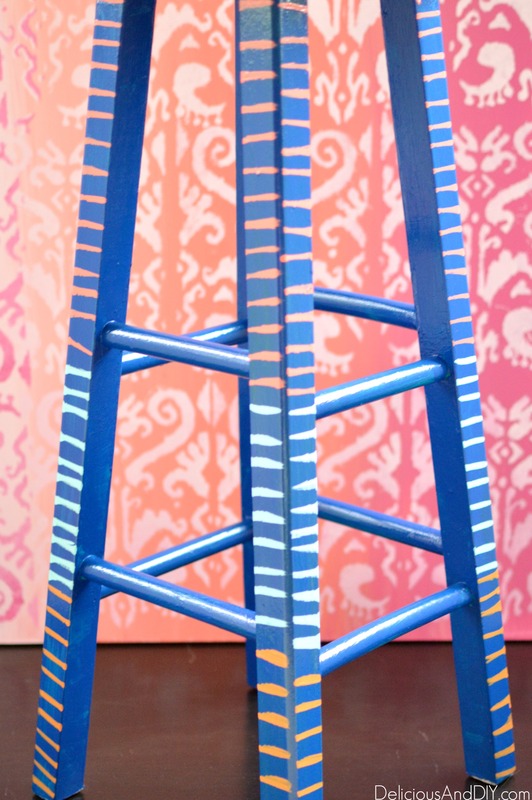 I split the leg in three parts and painted with the same three colors that I used on the top of the stool. And there you have it a cute little transformation. If you liked this project be sure to Pin it for later! Disclaimer : This is a sponsored post but all opinions, projects and ideas are 100% my own.